In one of our earlier blog posts, we gave a breakdown of what load balancers are and how they impact key aspects of your network. 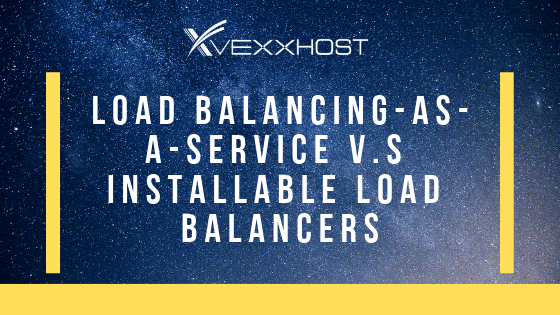 Today, we’ll be taking a deeper dive into why load balancing-as-a-service is a preferable option when compared to installable software load balances. When it comes to load balancing, there are a few different ways of going about it. For example, hardware load balancing and software load balancing are largely regarded as the two main categories. However, we’ll be focusing on the options found under the software load balancing. Again, there are two major categories with software load balancing; there’s load balancing-as-a-service and installable load balancing. By their names alone, it’s not hard to infer what the primary differentiator between them is. LBaaS is a fully managed service provided to users while the other option available is the do-it-yourself version of load balancing. When compared to what we’ll refer to as DIY load balancing, LBaaS has some significant advantages. One of the most appreciated benefits is that it is a fully managed service, relieving users of the ownership of the actual load balancers and the complexities that come with the programming and operation. With DIY load balancing, the user is faced with the responsibility of purchasing, configuring, monitoring and maintaining the load balancers. Without the available team resources, such a task can become far too consuming. Another benefit of LBaaS is that by employing the resources of a provider the scalability is greatly improved while costs are ultimately lowered. A load balancer that is hosted by a business has the potential to cost significantly more than that hosted by a cloud provider, simply due to the fact that cloud providers can make use of cloud scalability as a means of keeping costs lower. With LBaaS, users can also take advantage of increased performance. Through the resources of a cloud provider, the availability and speed of a given application can be optimized resulting in an increase of performance of around 90%. Additionally, LBaaS are a part of open source infrastructure, meaning users aren’t faced with being locking into a contract, whereas with DIY load balancing there is a very real commitment to a physical load balancer infrastructure. Ultimately by opting to go with a cloud provider such as VEXXHOST for your load balancing needs, you can take the hassle out of managing such an integral part of your applications while reaping the benefits of improved performance and cost reduction. With LBaaS being delivered by a trusted and experienced provider, you’re also eliminating the risks and enlarged commitment of contracts and ownership of load balancer infrastructure. Sign up today or request your free trial to see for yourself the difference that VEXXHOST can make!